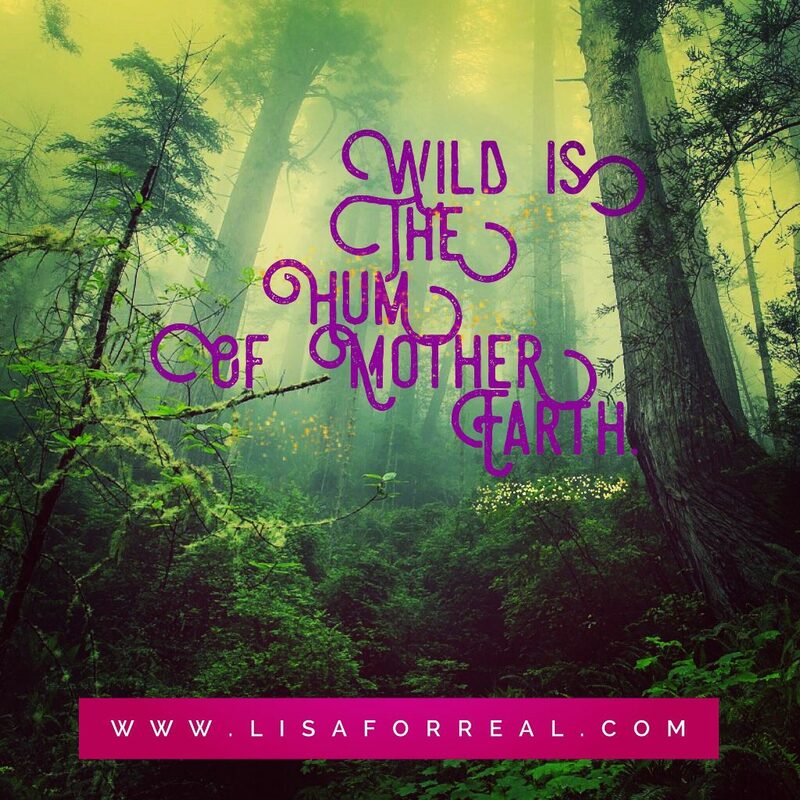 Wild is the hum of Mother Earth. Generations of chanting, dancing, laughter, and sorrow that she has absorbed into her core and has become the surround sound vibration we feel when we are in nature. The vibration supports us and reverberates through our feet into our souls. Those who have lost touch with the peace of Mother Earth express their wild recklessly, dangerously, ferociously. They gnaw and thrash as they try to work their way back to Mother Earth’s bosom, fighting back the injustices they feel they have suffered without cause. They use their violence, hateful words, and close-minded arguments to tune out or drown out Mother Earth’s hum, refusing to hear it, refusing its support and love. Wild also appears in those of us working our way back to Mother Earth, to our feminine, to our power. But the journey is not about provocation, about harm or fighting or force. Our wild focuses on tuning into that earthly hum. Tuning into that rhythm of the Great Mother and seeing how the rhythm of our hearts fits into hers. 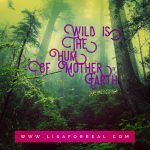 Inspiration: This piece was written as a response to a prompt in Jeanette LeBlanc’s course, 30 Questions To Bring You Closer To Your Wild Heart that asked me to answer the question – What is Wild? I journaled regularly from fourth grade into the latter years of high school but for the following 13 years, my writing was exclusively academic or professional. 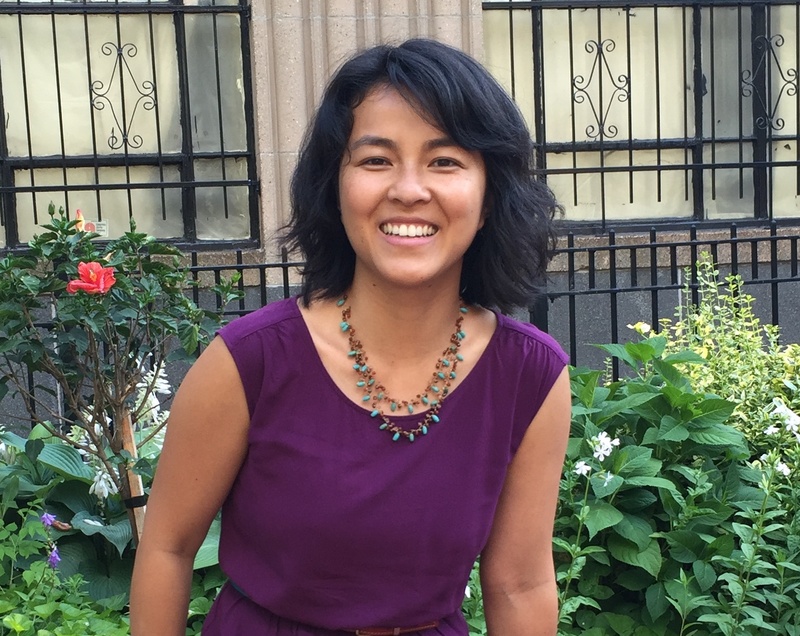 I realized in 2015, my Year of Self Identity, that I wanted to find “my voice.” I came across Jeanette’s course and initially recommended it to a friend who was looking to work on her writing. While she didn’t join the course, I realized I would personally benefit from it and decided to embark on its 30 day journey. I wish I could say I completed all 30 days of Jeanette’s course but I didn’t…even after taking it three times. But what did happen was a fire ignited in me to write again. For the first time, I felt like *I* was writing but at the same time, I wasn’t. Jeanette’s prompts go deep into the soul and lure words to appear on screen in a sequence I cannot fully attribute to myself. I actually came across this blog post in a text file on my desktop. I was not quite sure who wrote it, thinking perhaps I saved it after coming across it online somewhere. But I was very surprised to learn it was my writing and while I am proud, I’m also enchanted with what I am able to write when the muse flows through me. 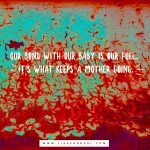 Nine days postpartum, I shed my first tears for my son. And I finally felt like his mother. As I looked down to see his peaceful sleeping face resting on my chest, I came to the sudden realization that he was real and he was mine and he was here to stay. I became overcome with throat choking, stomach clenching, tear inducing emotion. Overcome with all that had happened over the past 14 months. Back to back miscarriages, multiple scares during the pregnancy, and extra ultrasounds and blood draws made it a roller coaster of a journey. I had questioned many times whether I would ever hold him, and now here was this beautiful soul. Overcome with perfection in my chubby baby. In the hustle and bustle of becoming a family of four, I had not had the time to really take him all in. His complete purity. His brand new skin and toes and nose and smell. His infinite potential. Overcome with the possibility that this is my last baby. I had been in a bit of denial about this but it really hit me that I may never have another baby, never have another sacred fourth trimester. I wanted to squeeze every drop of infant goodness during our time together but also scared that I won’t do enough and not have any more opportunities to enjoy those first days again. This overcome of emotions is pure love. It is the rawness of motherhood. The foundation of a lifelong relationship. A wave that rushes in, nearly knocking you off your feet, taking your breath away with its beauty. No matter how it feels for the mother, it is this love that fuels during those restless nights and challenging times. A bond between mother and baby is as individual as a snowflake or a sunrise. With my rainbow baby, it took a little longer to realize and feel it – perhaps because of my previous losses or the fact that I had a demanding toddler to take care of as well. But I’m so glad that it came. I’d love to hear – do you have an exact moment where you felt that first bond with your child(ren)? Inspiration: I decided to write about this moment because it took place so strongly and unexpectedly. 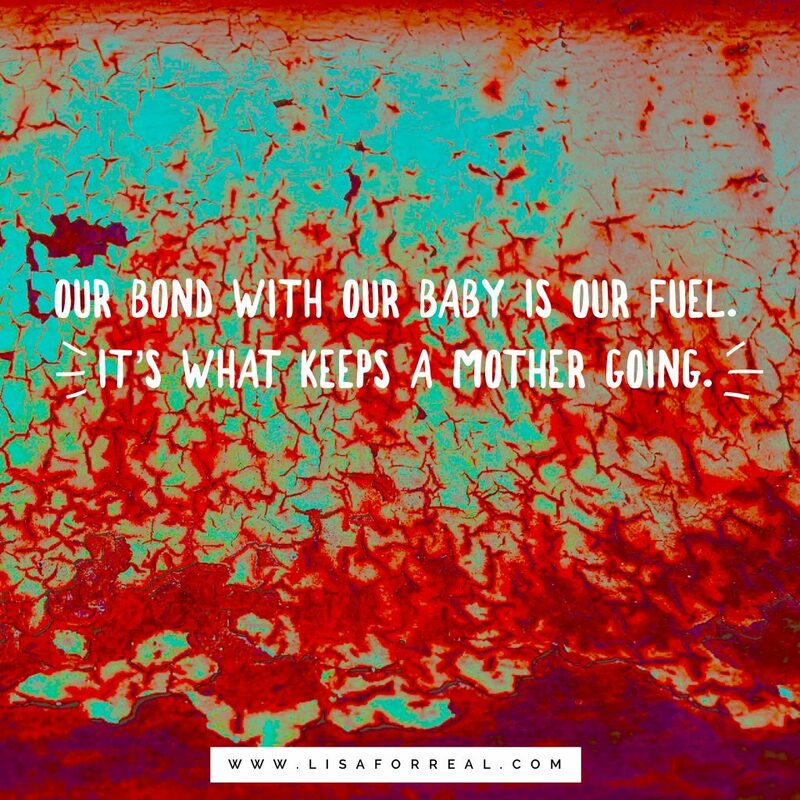 The birth and first days postpartum with my son were very different than with my daughter. With my daughter, we had a long delivery and then were able to savor our first 48 hours together at the hospital. My husband and I didn’t tell anyone we went to the hospital to deliver her and did not have any visitors until my mom came to help out when we got home two days later. With my son, everything was a little rushed (birth story to come soon!). I labored at home for quite a while. I ended up being 7 cm dilated by the time I went to the hospital. Delivery came only ~3.5 hours after getting to the hospital. We only stayed 24 hours after the delivery because we wanted to get home to our daughter who had spent her first night ever without me. And those 24 hours were jam-packed with tests and paperwork while trying to get acquainted with our little guy. My husband and I enjoyed a few hours total of just being the three of us but in the back of my mind and underlying many of our conversations was our daughter at home. We wondered how she slept, how she was at daycare, how she ate, etc. It was like another half of my heart and brain were somewhere else. Leaving the hospital with my son, I didn’t feel the same as with my daughter. I was there for half the time and both my husband and I felt that the care was not as good as our first birth. The nurses did not offer to wheelchair me down like they did last time which really left a sour taste in my mouth. Additionally, I felt rushed and anxious to get home to see the new big sister. Three and a half years ago, as I was waiting for my husband in the hospital lobby with my daughter all wrapped up in her cocoon of a swaddle, I sat down in a chair and stared down at this miniature bundle and tears fell down my cheeks onto her little body. I couldn’t hold back the intense release of emotions from the past 48 hours and I was overwhelmed with the love I felt for her. I felt like a mother – her mother – right then and there. As I waited in the lobby this time around, I stared down at my son a little disappointed not to feel the same way. When this moment of finally feeling like his mother came at home 9 days postpartum, I felt compelled to capture it. As I lay here at the start of another 5:00 day, I can’t help but stare at your face. My first baby. Three years later, I can still see the face I stared down at the hospital during similar hours our first night. Your eyes, your lips and your cheeks are reminiscent of that infant but I cannot ignore how much you have grown since, the length of your body, your gangling toddler body, almost twice as big as you were when you were born. I can’t fall back asleep because I know these are the last few months I’ll have the uninterrupted peace and quiet to stare at your beautiful face, just you and me, before your little brother comes. 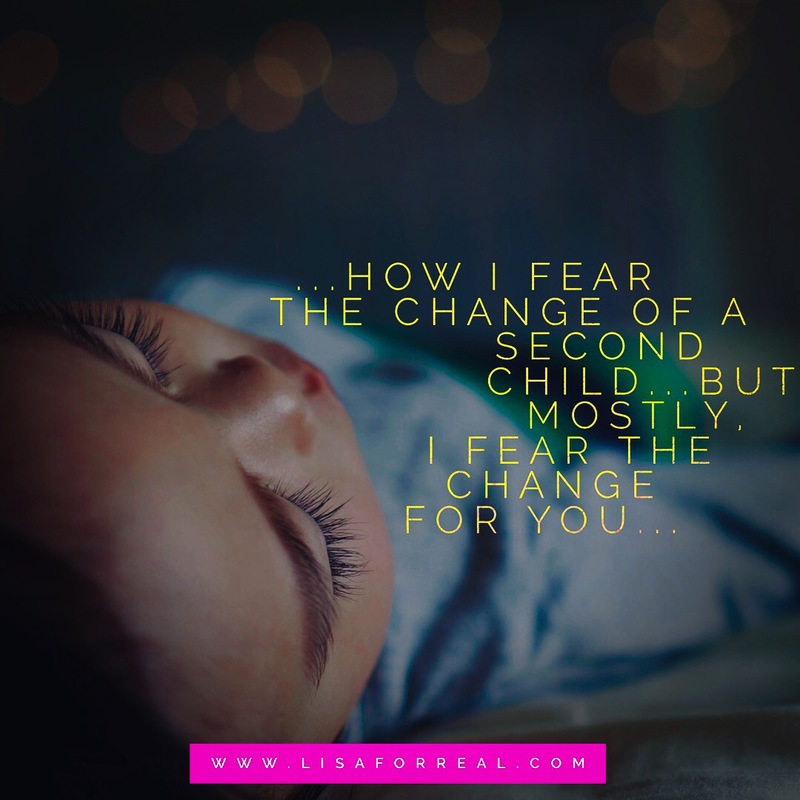 Oh goodness, how I fear the change of a second child. I fear the chaos, the challenges of re-balancing our lives again and the long nights. But mostly, I fear the change for you. You only know of a world where it is just the three of us, you, me, and Daddy. The challenges will be greater for you as your world shifts from undivided attention to one where the baby will demand so much. One where you will have have to wait your turn to tell your story from school, one where you will have to play second string for just a little while, and one where I may not be able to run to you immediately when you need me and yet nor quite understand why so much has changed overnight. This is my fear for you. But I also know change is a part of life. And you will eventually learn that too; though acceptance may be a bit further down the road. I wonder how much this change will change you. The transformation into older sibling – is it a defining life event that molds the stereotypical first born personality? The one that makes your kind supposedly better leaders and stronger? It must be a change for the better right? You’ll end up stronger and more adaptable, I hope deeply. But really, there is no turning back. Being a big sister is as much written in your life plan as it is in mine to birth and raise this baby. This fear and guilt is only resistance to what is meant to be, another sign of my humanity and imperfections as a mother. You will be one hell of a big sister. Your belly kisses and consideration for Baby are already indication of that. I am more confident in your big sister abilities than I am of being a great mother to two. So as these thoughts run through me this morning, I stare at your sweet, sleeping face feeling guilt, so much guilt and also sadness as this chapter of our lives is rapidly coming to a close. I mourn it already but I also know it was never meant to last. Our family was always going to be greater than the three of us. You have taught me that already. My guilt extends to the one of this baby. With doubts that I will be able to offer him as much of me as I did to you. Do I have anymore to give? I have heard from other mothers that your heart grows when you have another baby, not divides. That provides me comfort on this twilight morning as I let my deepest of feelings sink in. My heart trembles still when I think of the day we were discharged from the hospital. As your dad was pulling the car around, I sat in the lobby waiting with you, my precious bundle, in my arms. I held you close to my chest, tears streamed down my face, falling onto your little hat, as I felt the enormity of our next steps. A grand release of the whirlwind trip to the hospital, your birth and our first days together. My heart swelled knowing you were here with us forever, and perhaps I hadn’t even realized it yet, but those tears were also tears of mourning the end of a chapter, one with just me and your dad. Our roles and responsibilities forever changed but we have been stronger and better from it, no questions about that. My love, you will always be that sweet face in the twilight. I know this next step of our lives will give us more, and as our family grows, we will become even more than we are now. That makes the dawn of the next chapter promising. Inspiration: As I head into this next chapter of my life, I am bombarded with thoughts and doubts and all sorts of feelings. Compounded with pregnancy hormones and it’s basically a roller coaster ride everyday, one where I’m holding on white-knuckled, expecting to be thrown off course any moment but relieved at the end of the day to have survived. This post is just one example of such feelings, a stream of consciousness I could not ignore as I woke up at 5:00AM for the second time this past week. Feelings are normal, processing is healthy and I choose to do so whenever such thoughts arrive by typing away in my Google documents and sharing with you here. A year later, I celebrate this fourth Mother’s Day with a concrete answer. That fallen tree damn well would have made a sound. To question the presence of a sound questions the tree’s presence at all. And while you and I may not have seen that tree fall, or hell, ever seen the tree before at all, it does not make it any less of a tree. 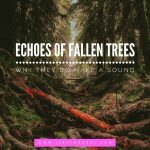 And when trees fall, they make a sound (no, duh). 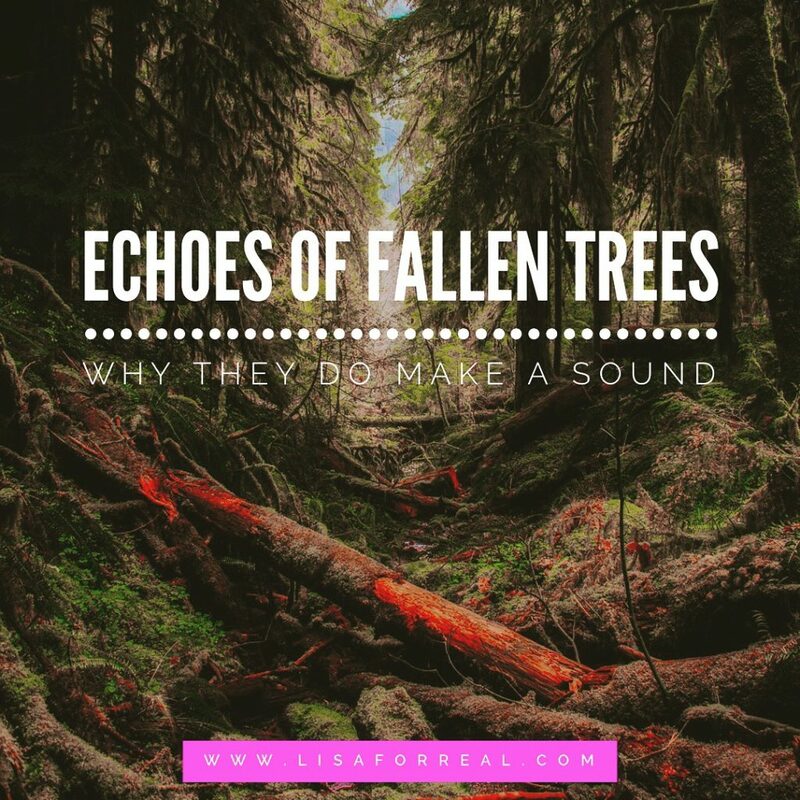 But that sound is not just an echoing boom that lives for a few seconds – it is also the echoes of its death, the domino effect of its absence. The living tree had a presence, an impact on its environment. It supported the earth it was rooted in. It offered a home to animals and shade to plants. It was part of an ecosystem. Its death would have also had a reverberating impact. The fallen body would house different animals. It would fertilize the earth and clear way to create new life. The ecosystem would evolve from its absence, being no better and no worse from it. It would just be. This Mother’s Day, when looking to break my 5 month blog hiatus and share the reason for my absence, I could only think of this question. Because the past year has had its own domino effect on me. This Mother’s Day, I am no better and no worse than last year. I just am. I am beyond happy to be 5 months pregnant. My womb is graced by butterfly kicks and little squirms. And I am still absolutely enamored by my three year old, her antics, beauty and spirit. But, I can’t help but to think of how this holiday would have been if I did not have trees fall in my forest. In one scenario, I would have been a mother to a one month old baby, balancing a rambunctious toddler while practicing my fourth trimester. In another scenario, I would have been 8 months pregnant glowing in anticipation of my upcoming birth. This Mother’s Day, I know damn well that that fallen tree would have made a sound. Because this Mother’s Day, I carry the vibrations of two miscarriages. I bounce between joy, grief, anxiety, and hope because those little babies left their marks. Those experiences birthed a new me – a new woman, friend, wife and mother from the pain, loss, and grief. To question the absence of those trees questions the absence of life and I know that while a life may have silently left us as it silently arrived, it does not make it any less material and it does not leave any less of an echo. Inspiration: I had two miscarriages in 2016, and since, I have been trying to figure out how to share my story. And even before that, I have been trying to figure out why I should share it at all. I created this blog because I feel my experiences are not meant to be lived in a vacuum. 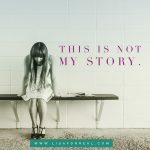 While miscarriages aren’t common conversation in our society, there is so much power that comes in sharing our stories. I have come to realize our strength as women lies so much in our abilities to handle stress, loss, and the heaviness of life. This may not be something that we realize until we experience it ourselves or see someone else go through it. 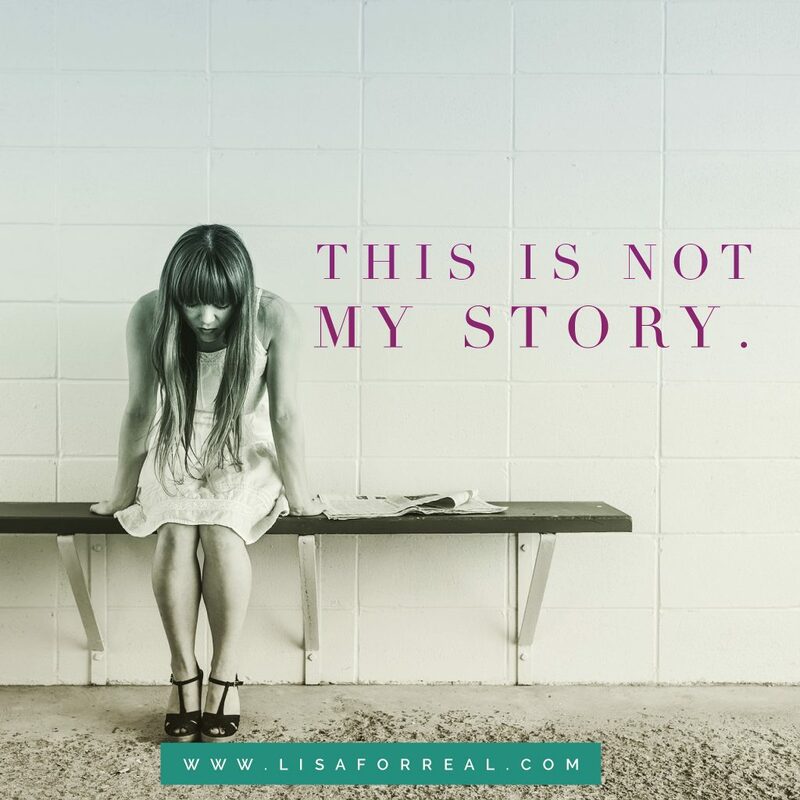 I feel it is especially important for those who have experienced miscarriages to share these stories with women who have not. Those gaps in experience divide us mentally and emotionally but stories bridge those gaps. My heart breaks for the women who experience their miscarriages silently or do not receive the support they need during that time. It is so important for us to come together and the lack of understanding should not isolate anyone from the support they need. While no miscarriage is the same (just as no birth or death is the same), I can now say that I did not support my loved ones in a way that they needed after learning of their miscarriages. I feel guilt for that quite often and while I cannot go back in time, I hope sharing my point of view will open the eyes of others who may have friends and family going through a loss. I look to continue sharing more about my miscarriages in the future. Sign up for my Simple Sunday Shares.